Welcome to Day 14, if you are just arriving for the first time all the details and the linkup can be found HERE. 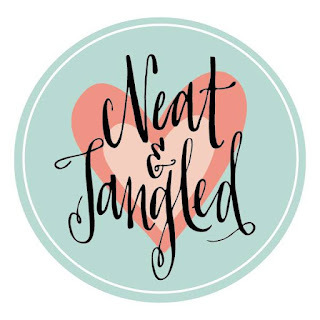 This morning I am so pleased to have Neat and Tangled along with their amazing designers here as both my sponsor and my guests! 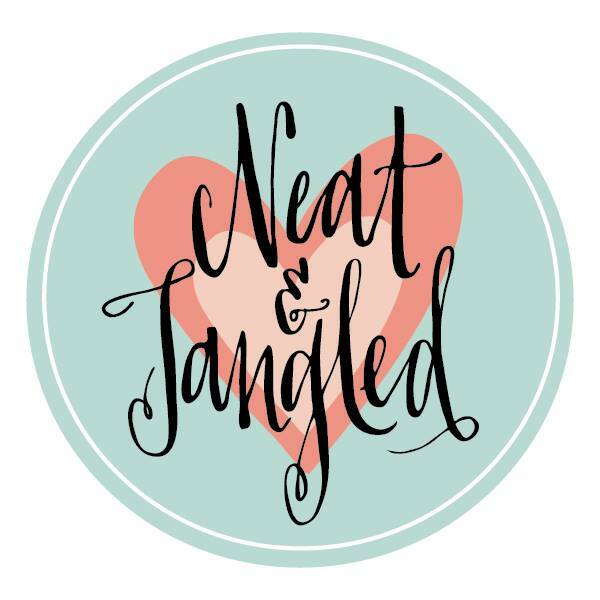 Neat and Tangled is offering to one lucky winner a $25 gift certificate for their online store! Don't forget there are so many ways for you to get multiple chances to win--by following the blog hop each day and commenting on the posts or by participating and making tags of your own. A difficult choice between two tags for me today... but as I made a tree tag yesterday I think I'll make something based on the cute animal tags. YAY!!!!! I love your sweet tag Tracey!!!! I love the little bear holding the Santa--such cute images. These are gorgeous! LOVING the ornaments from Amy and Danielle!!!!!!!!!!!!! These are all so cute! The ornaments from N&T are so fun!! Very cheerful and adorable tags today! Makes me want to get out some whimsical stamps and make something happy. A fun set of tags that have me smiling alllll over my face! 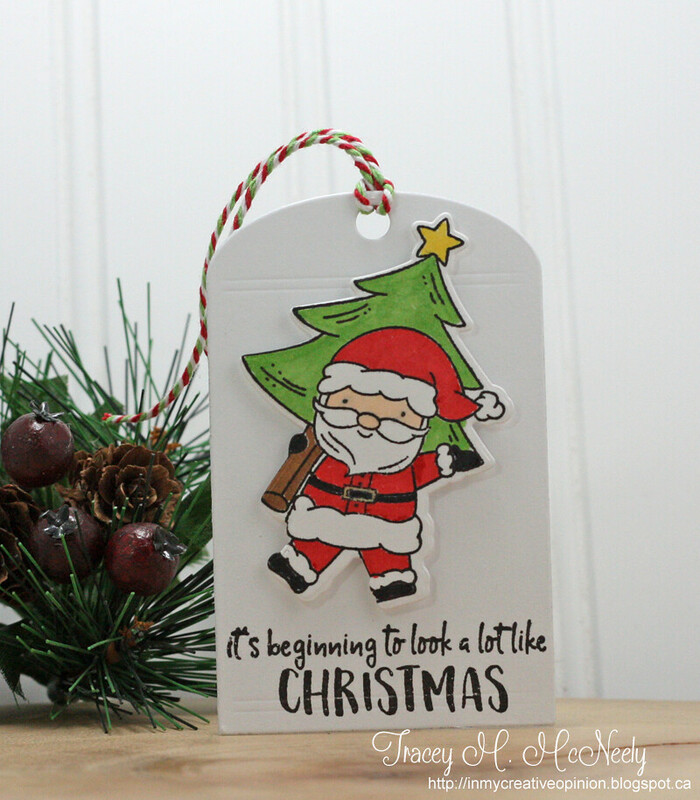 Today's inspiration: Santa toting a Christmas tree and the new Merry & Bright baubles! I'm so inspired by ALL of the tags today!!! I spot a few favorites, and now know that I must get that gorgeous tag of Miriam's back out! These just are the SWEETEST tags...love them all! From the ornaments to critters, it's all inspiring! Wow... lots of inspiration today! Love the ornaments from the new release, and Miriam's tag is absolutely perfection! 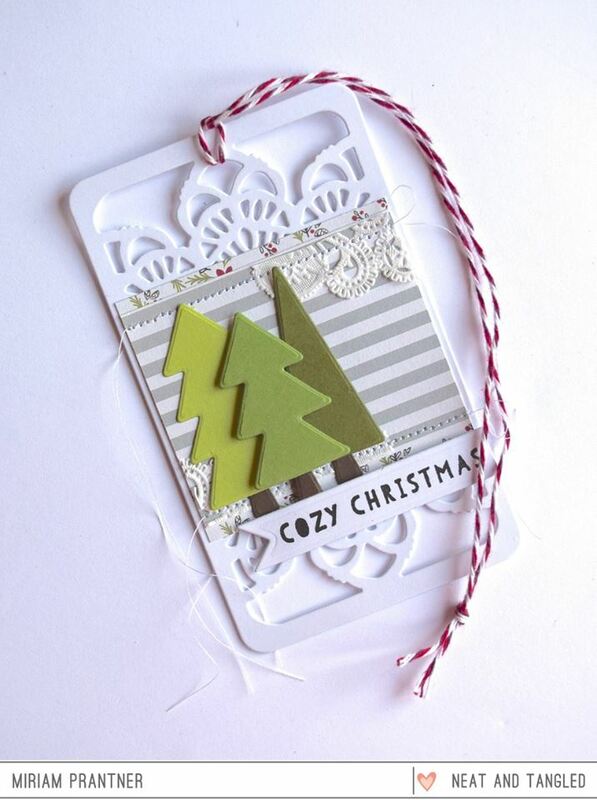 Love the trees and the beautiful die cut details on her tag! They are all so pretty Tracey!! I love your little Santa tag!! Too cute!! Love all of these cute tags! I like Miriam's tree tag. 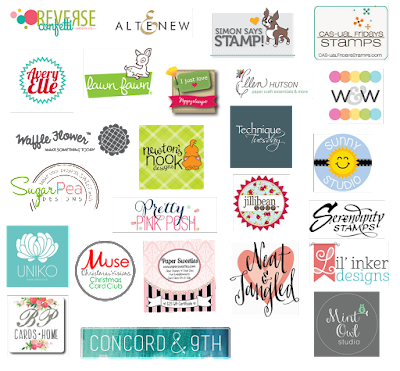 All great tags & hard to pick favorites! 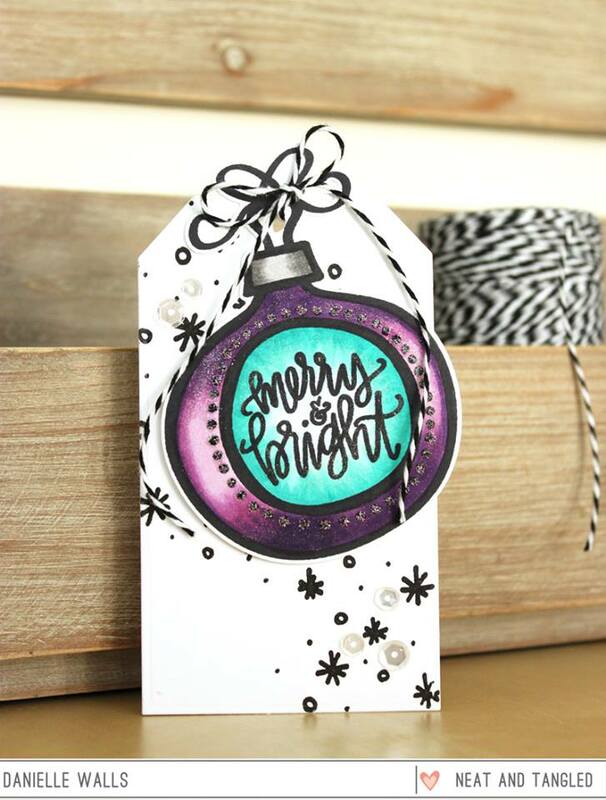 I do love Danielle's gorgeous ornament & Emily's black & white one really jumps off the screen! Thanks to all for the wonderful inspiration! Loved the tag in black I never do many in that color but I should! What a gorgeous bunch of tags! 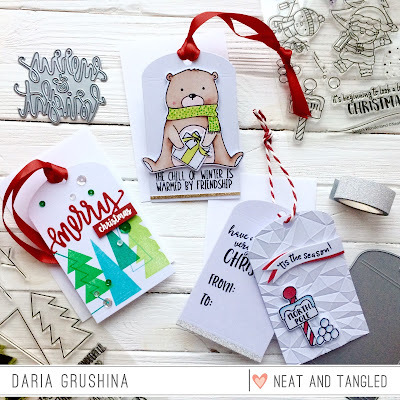 These are all so cute, but Daria's little bear tag is my favorite. Just adorable and love the sentiment. Love the little bear holding santa. That is so cute. So many great tags, but I adore how Daria created 2 tags - 1 having the sentiment and the other with the To/From! such a fun idea! Love that embossed background and that shimmery purple ornament. So different. All so sweet appreciate the inspiration! 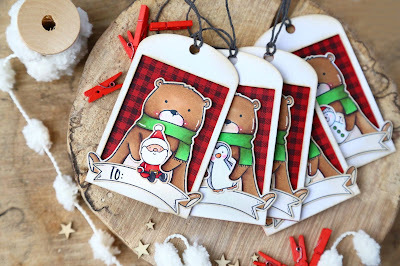 Oh my that set of bear tags with the little Santa doll are my favorites! These are all so adorable!! I especially love the bear holding the present, the penguin and the Santa! Too cute!! More great tags. 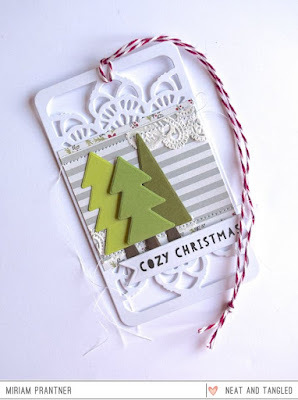 My favorite is the simple trees on the doily tag. Oh my goodness! Such beautiful tags ALL!!!! It's beginning to feel a lot like Christmas! I am sooooo inspired! I'm inspired by each and every tag today, so festive!! 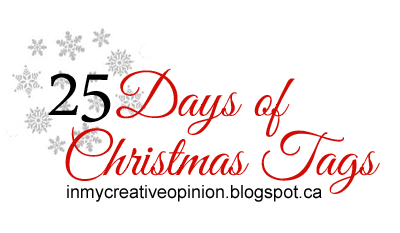 Your Santa tag is super cute Tracey!! So much amazing and incredible inspiration...love them all! Love the Santa with the tree. I love these all especially Emily's twin tags! I am going to break out my Neat and Tangled stamps....thank you for inspiring me. Emily's tags are adorable and Miriam's is so pretty. Daria's tags are super cute, but I like your tag today, Tracey. It's simple and the Santa is adorable, reminding me I still haven't made a Santa tag! Really love all of the Neat and Tangled tags here!! 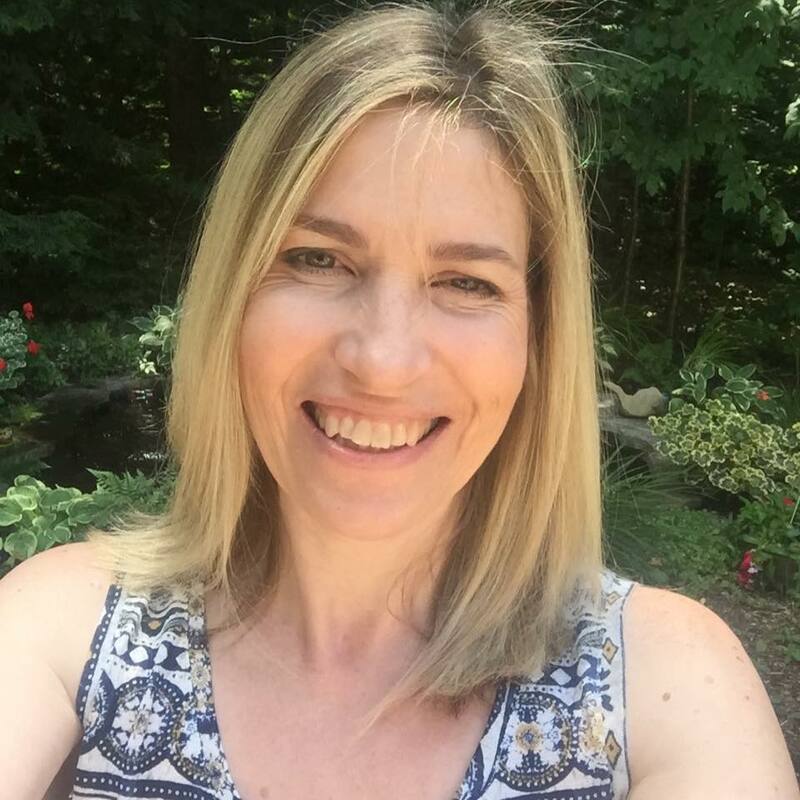 Fabulous inspiration! Fantastic collection of tags. So many fantastic Neat and Tangled images I have never seen before and that are oh so tempting. Oh that sweet bear! Love it! Every tag is wonderful but for some reason that North Pole sign with the stack of snowballs really appeals to me! Sweet and simple. Love Emily's snowbanks, I started this tag and couldn't find my snowman stamp... must go back and dig. OMG!!! Great collaboration! 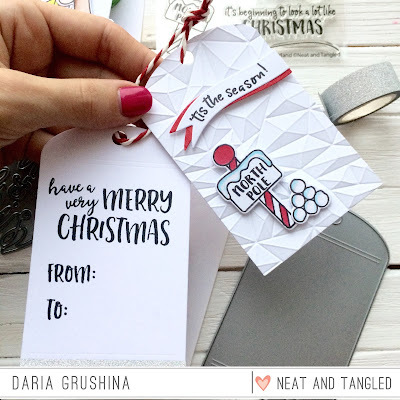 I love so much Neat and Tangled products because you can realize a lot of cute cards!!! I'm in love today for all of these tags! Really beautiful!! So many cute tags. I'm inspired to try a double tag so there's an area behind to write! Totally inspired by Daria's tags! Oh my goodness, I can't wait to make some of these! Great inspiration from these ladies. I like Daria's idea of layering two tags together. So many beautiful tags!! So much inspired by your tag with the santa!! Love the teddy bear tag with the beautiful saying. Elena's little bears holding various objects are so darling. If only I had those stamps. I can't pick a favorite...they are all amazing! Love them all, but Amy gets extra points for creativity with her clever ornament coming out of the box design. Awesome tags, love them all. Oh my goodness, that tag by Amy Tsuruta is amazing. 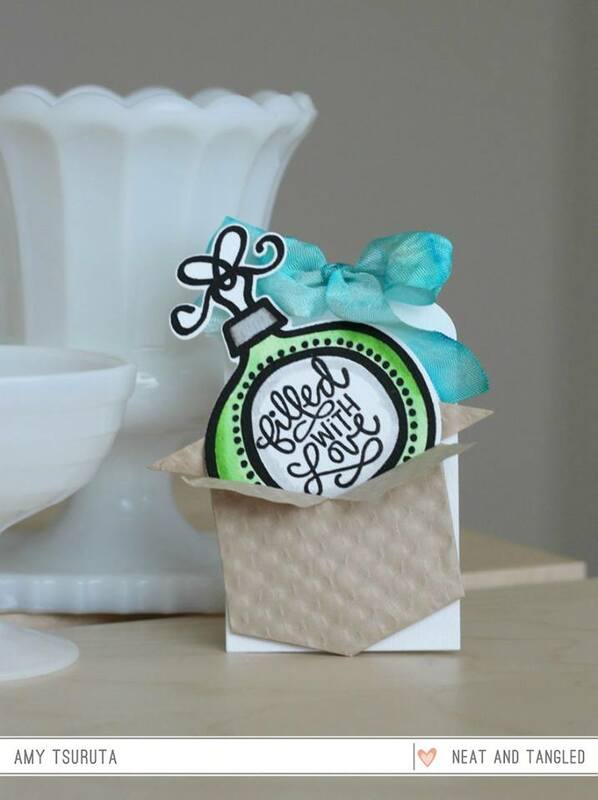 What a great idea that the ornament is coming out of the box, so darn cute. Thanks for sharing all these tags, they are wonderful. 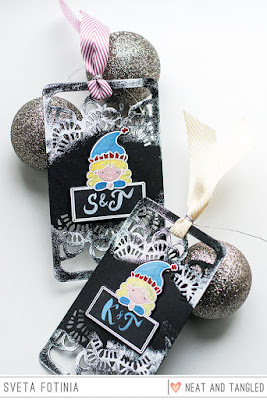 Oh that Santa tag is just darling, awesome tags all around though! Gorgeous tags. Love the ornament one as well as the North pole one with the second tag behind it! They all inspired my today! Wonderful tags! I love that graphic one by Daria. Love the amazing snow background behind the penguin and having the bear's feet hang over the edge is a great idea, but I especially love that 3d embossed background... so cool! I'm a sucker for cute bears. Cute bears bearing gifts and I'm done for. What adorable tags! Lots of original ideas! 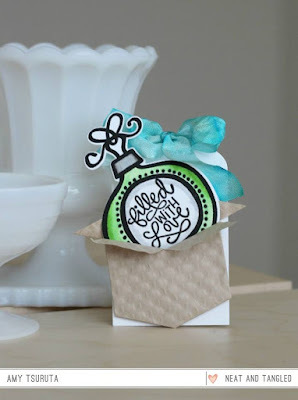 I love the embossed tag especially! I am biggest fan of Neat and tangled - so cuuuuuute!!! If I won the lottery I would buy all their stamps/dies/.... :) Amazing tags and I love this bear - so so sooo cute! 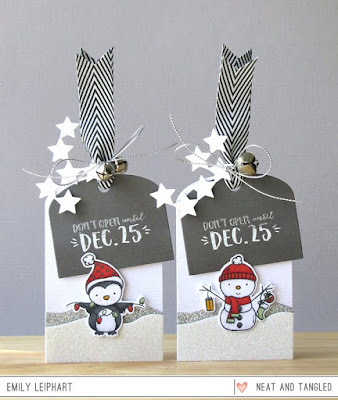 Love Emily's Penguin and Snowman tags! too cute! I need that stamp set! I was so sure I commented here but its not showing, maybe Im clicking out too soon. 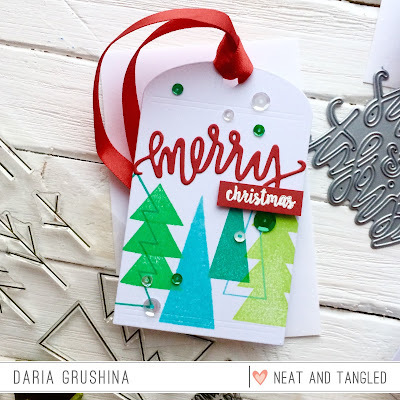 Anyway again lots to love and I'm inspired today by your Santa carrying the tree and also Daria's neat tag thats been embossed as well. Fun tags!! 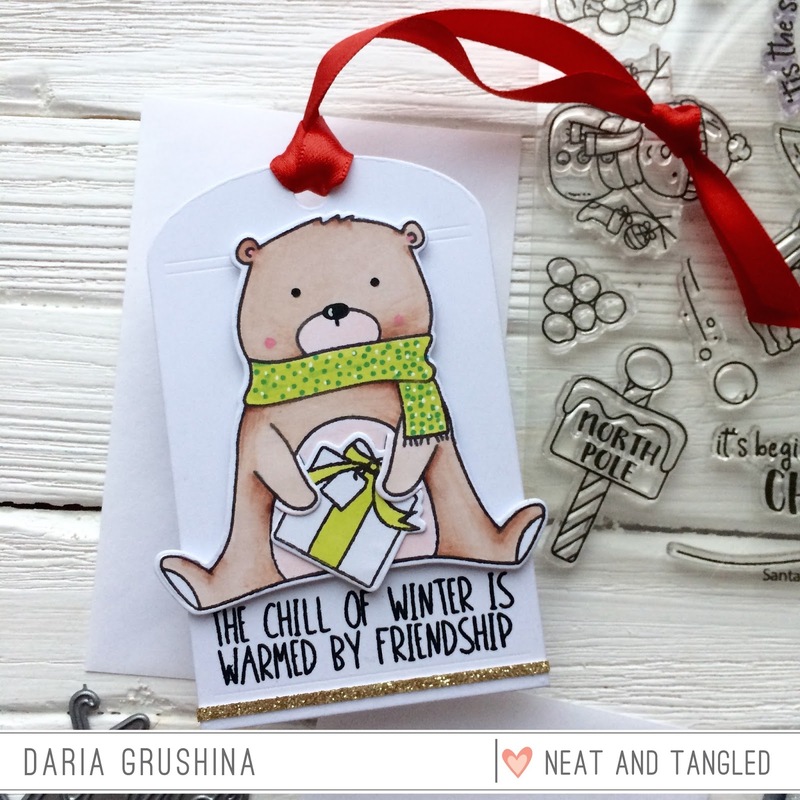 I used Daria's North pole tag for my inspiration, but I love Emily's cute little snowman and penguin too!! Darling tags! I can't wait to break out some of my newer N&T and play after seeing all of the awesome tags in this post! 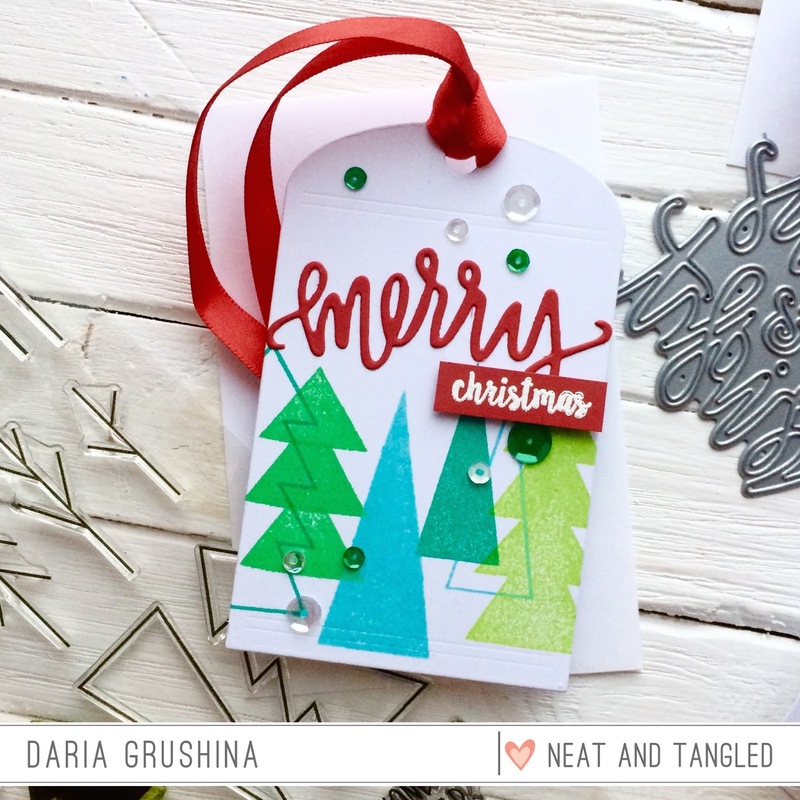 I like the design and look of Daria's Christmas tree card. There is a whole lotta cuteness today! I'm especially loving Daria's tags. Bright and beautiful...... love every perfect N&T creation!